Eating disorders are complex problems with a number of contributing factors. But research has shown that bullying may be a significant factor in the development of eating disorders. Just as bullying is loosely linked to everything from posttraumatic stress disorder (PTSD) to suicide, it should not be surprising that it’s also linked to eating disorders, especially in girls. Why Does Bullying Contribute to Eating Disorders? As tweens and teens are growing and developing, they are working through a wide range of psychological and physical issues including body image awareness. In fact, most teens are extremely conscious about their physical appearance and how they are perceived by others. Consequently, when they are bullied and teased about their weight. they often feel sad and ashamed. This can lead to feelings of depression, low self-esteem, and poor body image. They also may avoid being around others, or stop doing their usual activities. 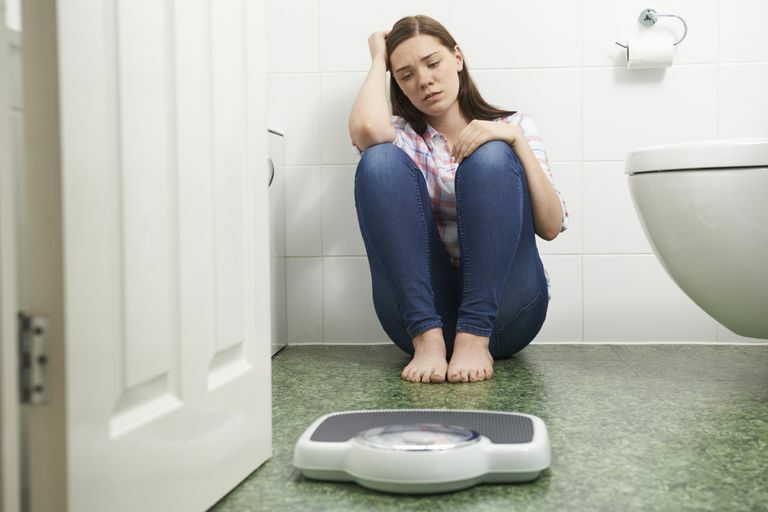 Eating disorders such as anorexia and bulimia can develop in response to bullying especially when the victim already suffers from low self-esteem or other feelings of insecurity. As a result, teen girls will resort to drastic measures and engage in dangerous behaviors in order to control their weight. For some, an eating disorder develops as they try to conform to what they feel others find acceptable. So when bullies target them either about their size, their shape, their weight or another factor, this puts additional pressure on them to conform. It also creates extreme levels of anxiety about their weight. For others, an eating disorder gives them a sense of control at a time when bullying makes their life feel out of control. Bullies often ostracize, threaten, spread rumors and make fun of their victims. So for many, an eating disorder can make them feel empowered in at least one area of their lives. To make matters worse, teasing someone about their weight appears to be socially acceptable. In fact, constant negative comments about weight and size are often shared and regarded without sensitivity. Research has shown that attacks on a teen’s appearance or weight can be just as damaging as racial bullying or homophobic bullying. Here's what parents and teachers can do. Recognize the Signs of Weight Bullying. Kids don’t always tell the adults in their lives that they are being bullied. So you have to watch for the signs. If your child comes home from school talking about how “fat” she is, it’s time to take notice. Other clues that she is being bullied about her weight include being preoccupied with how she looks in clothing, not wanting to be around others because of the way she looks and changing her eating habits. She may begin to eat more, hide what she is eating or eat substantially less. All these could be the beginning signs of an eating disorder. Be sure you also are familiar with the other signs of bullying too such as changes in mood, sleep, and grades. Step in immediately if you suspect bullying. Match Your Actions and Your Words. When you’re helping your child overcome body-based bullying, it helps if you also have a positive body image. You will have far more credibility with your child if you feel good about who you are than you will if you are constantly criticizing how you look. A well-rounded sense of self and a solid self-esteem are perhaps the best antidotes for disordered eating. Help your child feel good about intellectual, athletic and social endeavors – not only will a solid self-esteem help combat eating disorders, but it also helps to deter bullying. Help Them Broaden Their Idea of Beauty. Keep the focus off of appearance and instead focus on other aspects that make your child beautiful. For instance, applaud her athletic ability, her intelligence, her creativity, her compassion – the things about her that make her unique and special. You also might want to sit down and talk about people you both admire that don’t necessarily have perfect bodies. Help your child find healthy ways to manage stress and unpleasant feelings like exercise, meditation, and prayer rather than looking to control food. Be sure you also do what you can to help her overcome bullying. Be sure you do not convey what is known as weight-based prejudice or reinforce your child’s desire to be thin. For example, don’t talk about her weight regardless of how big or small she is. Saying “you’re not fat” is just as harmful as saying “so what if you have a pooch belly.” Instead, encourage her to think about why she is afraid of being heavy and what she thinks she can accomplish by being thinner. Get Professional Help When Needed. If you notice the signs of an eating disorder—whether it’s eating more than usual or eating less than usual or even making frequent trips to the bathroom after eating—you may want to have your child evaluated for an eating disorder. Don’t delay in getting help. The longer you wait, the more ingrained the habit will become.